We know dentistry is a people business, and without happy patients, we have no business. That is why we would like to share how others feel about Studio Z Dental and Dr. Tom. Don’t take our word for it, take theirs! Click these buttons to read our reviews. Read an interview with Dr. Z:Boulder Daily Camera and check out our 15-Second Pitch. We have so many great patients with beautiful smiles, we wanted to share some with you! It is always possible to have a beautiful smile. 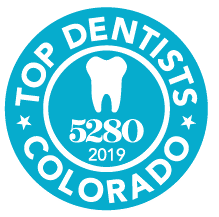 Studio Z Dental awards: 2018 StudioZ Dental was voted Best Dentist East Boulder County by the Daily Camera. 2017 Dr. Tom was voted top dentist, and Dr. Jenna was runner up for Best of East Boulder, Best Dentist – by the Daily Camera. Studio Z Dental was named Best Dentist in four different neighborhoods by the Nextdoor app in 2017. 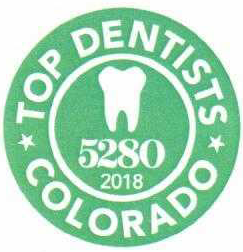 Studio Z Dental was voted "Best of Broomfield" in 2014. We have been recognized for outstanding dental care on Angie’s List and the Minneapolis St. Paul Magazine. Awarded Top of the Town Best Dentistry by Broom fielder Magazine! Thanks to all our patients for your support! Check out our blog for the full story! I am a special case, in that I've got the MTFR gene which is activated. That means my body doesn't methylate well, or process out toxins. Antithetics have been a real challenge, leaving me very ill for several days after a dental procedure. I made Dr. Zyvolosky aware of this prior to my appointment, and he bent over backwards to accommodate my special homeopathic protocol approach, including locating a now rarely used antithetic, and even making sure he didn't use the topical numbing agent commonly used to numb the location where the antithetic injection would be made. After the procedure he even applied homeopathic calendula to the gums around the tooth, something I had not asked for. Dr. Zyvolosky and his staff really went the all-out to make sure I was taken care of. Studio Z Dental is fantastic. I received excellent dental care during my first crown procedure. Dr. Faraj and the staff explained the entire procedure and what caused my issues and the need for the crown. They used the latest technology to help protect my health during the removal of the old fillings and then promptly went to work on the crown. I could not be happier with the results. I can now eat almonds on both sides now! :-) Great job, Dr. Faraj and Studio Z Dental staff. But it does not stop there! I had an insurance issue. The highly professional staff jumped into action, helped me with all the appeals, documentation required, and everything was settled. Excellent service.